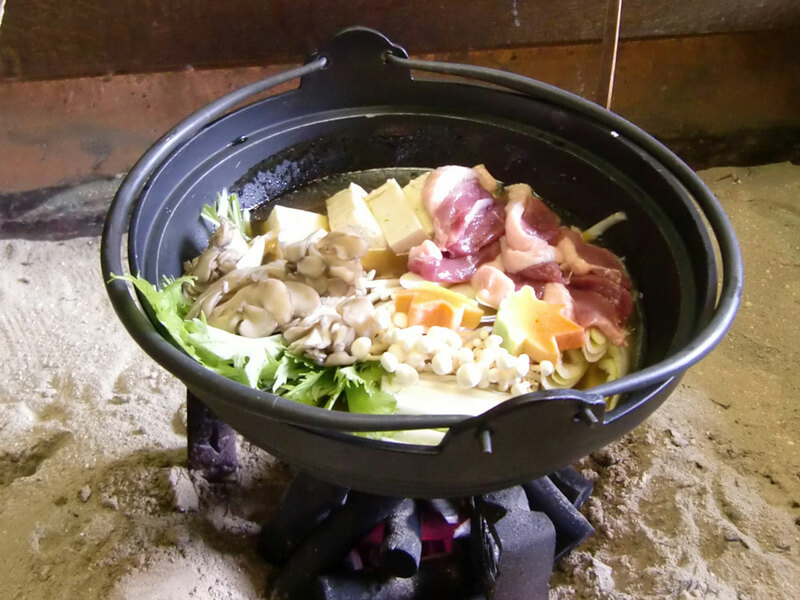 Miso soup with bear meat and vegetables| South of Yamagata, sometime come to Okitama Travelog. A part of Japan’s local cuisine is wild gameBear meat is a rare treat for the matagi, mountain hunters of northeastern Japan. The Kuma (Bear) Matsuri is a festival that has come down to us with a history of more than three hundred years. Imbued with ritual, the festival includes words of comfort for the soul of the bear by the matagi who live in the Kotama-gawa River area of Oguni and an expression of gratitude to the mountain gods for their protection. Enjoy bear stew, a rare delicacy, along with warm hospitality at the festival. Some of the ryokan (traditional inns) offer it as a dish. Inquire when booking! Yamagata Okitama Tourism Portal Site.